A Shore Bake. 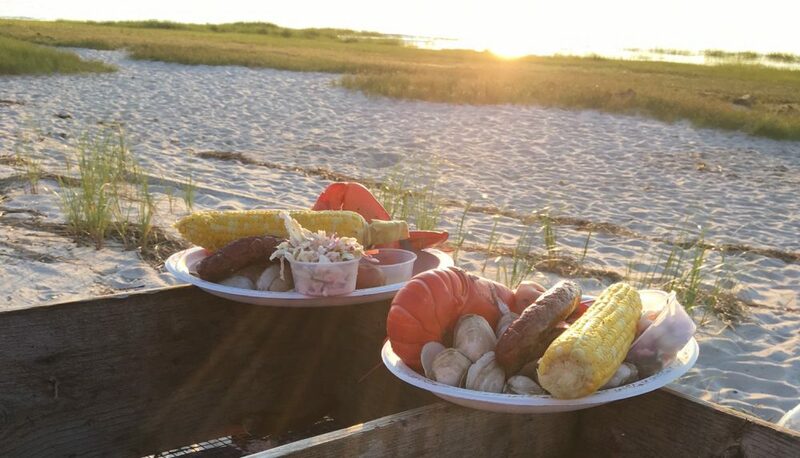 Your clambake will be served buffet style on heavy stock paper plates. We provide all the utensils you need, napkins, wet-naps, salt and pepper, lobster bibs, lobster crackers and chowder crackers. As we help clear your guest’s tables we discard all clambake trash in our barrels and bags which we provide, and we’ll take them away with us. We also offer a raw bar $16 per person and home made strawberry shortcake with home made whipped cream $8.50 per person.